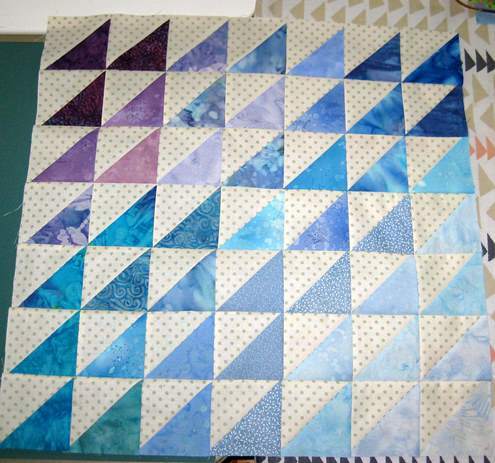 I like piecing. Here's one fourth of a new project I started. I like applique - here's one of 24 flowers I have to make that go in the outer border of the new project. For the past two years, I've been playing with various applique methods to see which one I like (and which goes faster for me - lol). I'm finding this Zena Thorpe method the one I go to the most. I combine with McKenna Ryan's. So here's what I do. First, I make a copy of the pattern page on plain copy paper. 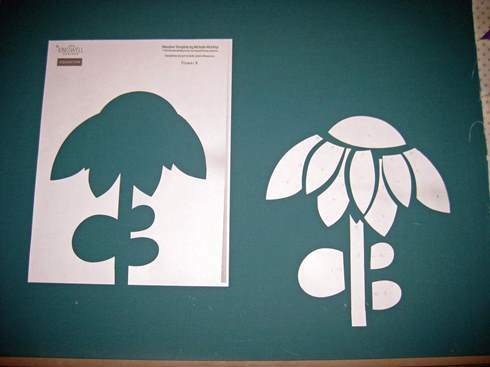 Then I cut out around the outline of the design to make my templates - on the right. Then I number the pieces so I know in which order I must lay them on the outline guide from that copy sheet - on the left. I turn them to the wrong side and draw them on the paper side of fusible interfacing. I use to use Steam a Seam 2, but now like to use Heat-n-Bond light weight. I cut these apart and place on the back side of the appropriate fabric. I lightly bond them to the fabric and then cut them out. I then cut a background fabric - usually 1/2"- 1" bigger than the block I need. I place my outline copy on the background and lay the fabric pieces on it. If I like the fabrics, I then press the flower together and then onto the background. Then I machine straight stitch the flower to the background using invisible thread. But what I like best about this project is that it has both piecework and applique. Here's another I'd like to make someday. I don't know the name or the pattern - I'd just make something like it. So how about you? What did you like this week? I'm linking to LeeAnna's I Like Thursday's post. Your pieced new project looks so pretty - I love all the colors and fabrics you chose. It's nice that the one fabric is the consistent theme throughout. I enjoy the look of that! I look forward to seeing how this project comes together with the 24 flowers around the outer border. I also like to work with Heat n Bond lite. Your finished project is going to look great. Can't wait to see all those flowers finished and put in place. I haven't done machine stitching on my applique yet. Still do the blanket/buttonhole stitch by hand with it. One day I might branch out. The flower is a pretty design - will be even better with colors! Your HST quilt looks great. I agree--applique plus piecing is the best of both worlds. 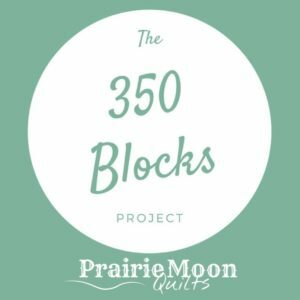 You have some fun projects you are working on! 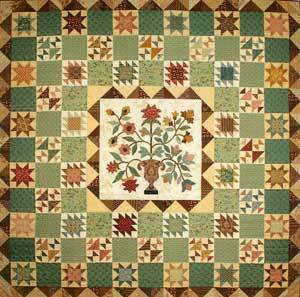 I like your piecing as well - beautiful quilt! 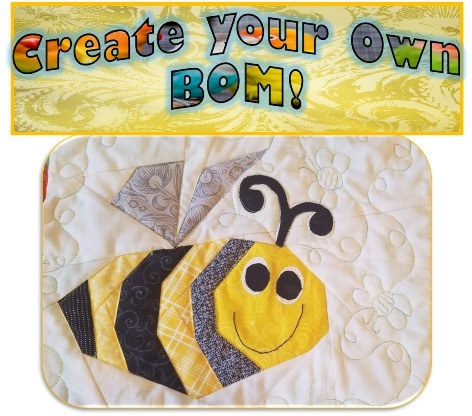 I haven't played much with applique, but so appreciate your mini tutorial! Thank you for sharing! I love the colors in the project you show at the end - I can see why you would like to do it!